Remember when you were a kid how much fun you'd have putting together a jigsaw puzzle? Your whole family would gather around the kitchen table to help out. The time was filled with smiles and laughter - until you got to the end of the puzzle. That's when you realized that not all of the pieces to the puzzle were there. Some how, you were always missing one or two pieces. Your shining accomplishment clouded because you didn't have all of the pieces. Deploying VoIP is a lot like putting together a jig saw puzzle. It is both challenging and fun, but in order to make sure your deployment is a shining success you must have all of the pieces. Before you go on your way towards searching for the hardware and services that are perfect for your situation, the following is a quick list of VoIP requirements that will help to make sure that you have all of the pieces you need to successfully deploy VoIP. You will never realize the full experience of a Ferrari F430 driving it on dirt road. When it comes to VoIP your service is the car and your network the road. In order to get the most out of your VoIP service you need to make sure you have a smoothly paved surface without a lot of congestion for it to ride atop. If you utilize the web heavily, or send large files frequently you will want to consider setting up a separate network just for you VoIP traffic. With switching prices dropping every day this minor cost investment is worth the ability to ensure the Quality of Service (QoS) of your VoIP service. The number one cause of problem you will encounter with VoIP has to do with what is called the “last mile” of Internet service. You are likely looking into VoIP because you want to save money, but don't forget that you may need to increase the size of your Internet connection in order to account for the additional traffic that you will now be sending or receiving. In order to make sure you have adequate bandwidth, ask your potential VoIP service provider how large their voice packets are, then multiple that number by how many simultaneous calls you will be making in order to see how much bandwidth your VoIP calling will take up. Many Internet providers now offer “bandwidth shaping” services that can give your voice packets a priority over your data packets, so make sure to ask them if they can do this for you – it will be a huge help. 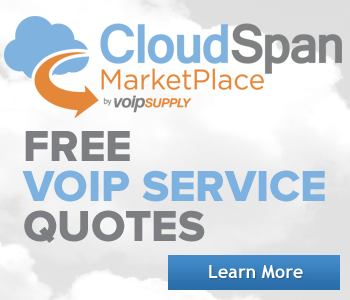 You might be a little misinformed when it comes to the cost savings of switching to VoIP. If your company makes more local than long distance calls, you might not save much by moving to VoIP. If you make a considerable amount of long distance calls switching to VoIP will provide you with considerable cost savings. Note that you can use an IP based phone system and not use VoIP to send and receive calls. As noted above, not every small business will benefit from making VoIP calls - you might be better off placing all of your call over the Publicly Switched Telephone Network (PSTN). If you do choose to use VoIP for the majority of your calls you should keep at least one PSTN line for fail-over. This way, if your network goes down, you can still make calls over the PSTN. You are probably getting tired of reading about all of the “boring” aspects of VoIP. It's the boring things like a disaster plan that keep you from kicking yourself when a storm, blizzard, tornado or hurricane holds your business hostage. Since VoIP utilizes your Internet connection and your network to transport calls, if either ever go down you will be without VoIP service. Make sure you take into consideration how to build redundancy and power protection into your VoIP solution. You know that every business is different. That's why every VoIP deployment is different. For instance, if you are a 1 - 3 person small business, a basic business VoIP service might suffice. If you have under 15 people in your office and do not want to deal with a phone system, you may want to consider a hosted VoIP service , where your phone system is hosted by your service provider. If you are a business that is larger then 15, but not over 30 people, you will want to look at both hosted and premise based phone system solutions. If you are larger then 30 people, you will want to focus your efforts on a premise based solution as it is likely to offer the best ROI. 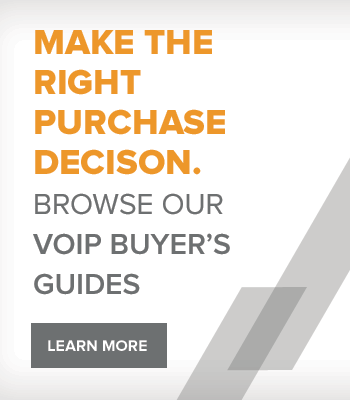 There are a ton of choices when it comes to VoIP service . 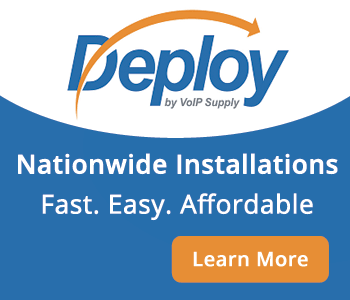 From nationwide, to regional, to local VoIP service providers, you can get VoIP in all different shapes and sizes. Once you determine whether your business is best suited for a premise or hosted based solution, you will need to find a service provider that delivers the solution you need. Look for things such as up-time, service level agreements and customer recommendations before signing-up with a service provider. Depending on your call volume, you might get a better deal from flat rate of per minute calling. You should take the time to do the math to what best works for you as most business VoIP providers offer both types of calling plans. Before selecting your VoIP hardware (such as VoIP phones , soft phones and headsets ) make sure to conduct a needs assessment to identify what each position or person needs out of the VoIP hardware they will be using. Do they need a great speakerphone, 32 line appearances, etc? You will find that prices for VoIP solutions vary widely since there are so many different ways to deploy VoIP. Some general things for you to consider are: Do you want to pay for everything up front, do you want a monthly recurring charge or do you want to pay for some of the system up-front and pay the rest off monthly. Make sure you know what your total cost of ownership (TCO) is before signing on the dotted line. In today's economic climate, ROI (and how soon you will see one) is an important factor in any capital outlay. While you will see an instant decrease in monthly calling charges it often comes with a cost. Calculating ROI is simple – take your total monthly cost savings by making the switch and divide that total by your total upfront costs. This will give you the number of months to break-even on your upfront investment. Just because Doug plays World of Warcraft for four hours everyday and was able to successfully hack into your neighbors Wi-Fi network doesn't mean he is qualified to maintain your VoIP system. When something goes wrong you need to make sure there is someone who can solve the problem – going hours, even days without service is not an answer. While VoIP systems are much easier to use and maintain then your previous communications systems, you will need to make sure that you truly have the qualifications to maintain this system internally or you will need to find someone to do it for you. There certainly are a lot pieces to the VoIP deployment puzzle, huh? You might be a little intimidated right now since you might not know what the puzzle is supposed to look like even if you have all of the pieces in place. Like your family and friends that helped you with all those jigsaw puzzles you created as a kid, our team of VoIP experts is here to help assist you with putting together the VoIP deployment puzzle. 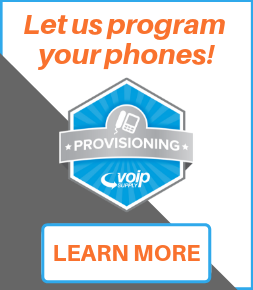 From showing you what the finished puzzle should look like, to making sure you have all of the right pieces, VoIP Supply can ensure that your VoIP deployment is a shining achievement.